Arrow Video’s October 2018 Blu-ray Releases have just been announced and as you might expect there are a few horror titles coming our way. 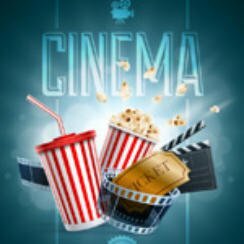 So what films are coming our way later this year in the UK, American and Canada, well it’s time to find out. First up is the UK only release of the Italian horror film City of the Living Dead (1980) from director Lucio Fulci, this ones on the 8th October. Perhaps the best of the releases is also a UK only title that comes from the mind of horror writer Clive Barker, Candyman (1992) releases on the 29th October 2018 so you may receive just in time for Halloween. The next three releases are available in the UK, US & Canada. Schlock! (1973) is an American low-budget horror comedy that is written by and stars John Landis. Next we have Terry Gilliam’s Twelve Monkeys (1995) starring the likes of Bruce Willis, Brad Pitt, Madeleine Stowe & Christopher Plummer. Both of these titles are out on the 15/16 October. Lastly we have Deadbeat at Dawn (1988) an action, crime movie from writer and director Jim Van Bebber which he also stars in alongside Paul Harper. Rounding off Arrow’s October offerings is the US & Canada release of Torso (1973) an Italian giallo film from director Sergio Martino. You can pre-order now over on Amazon or direct from Arrow Video’s website. 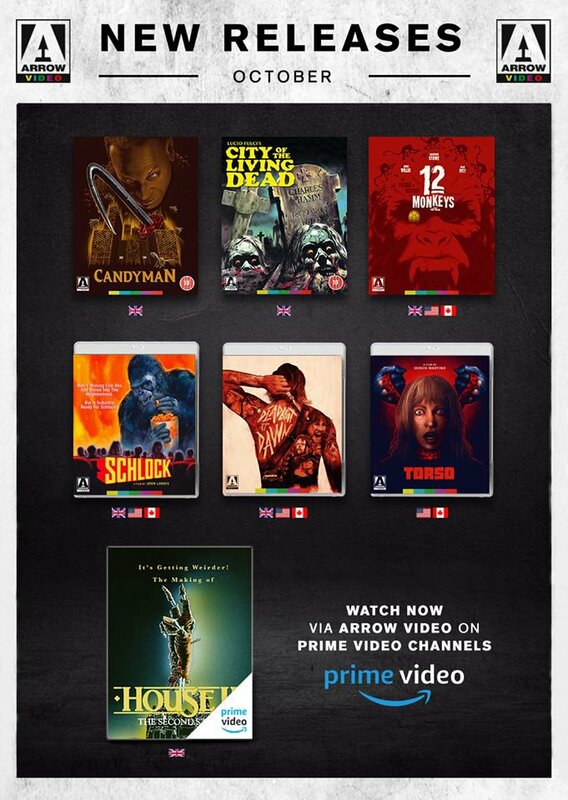 So that’s the Arrow Video’s October 2018 Blu-ray releases, we’re not sure which of these we plan to review at the moment so keep an eye out closer to the release dates. The A-Team The Complete Collection Coming To Blu-ray?